Special Notes: I had previously published this post, but there was a mixup with the announcement dates and removed it. Detail here. I’m somewhat sympathetic to large brands launching social media programs, having done it at Hitachi, and I stayed close to Dell during their launches, but I’ll have to admit, Wal-Mart/Edelman have had two major failures and it’s current Facebook initiative isn’t going as one would hope. For many of us social media folks, Wal-Mart is a case study for doing it wrong, from Astroturfing fake consumer blogs, to launching a MySpace clone that closed after 10 weeks, trust is certainly not there. All of the above is what I told Edelman folks who were reading my blog and interactive me in Facebook. They let me know that they are helping their client Wal-Mart launch a new blog, one that is to be transparent authentic, and written from actual Wal-Mart employees. I’ve seen a preview of this blog, which will be letting the buyers and purchasers of products speak directly to the world in a conversation. One of the bloggers Rand Waddoups contacted me this morning, we had a brief conversation, and I probed him to make sure he’s the real deal, you see, I’ve become a hopeful skeptic. I did some Google Searches on Rand, (interesting interviews on sustainability) it’s confirmed by others he is indeed a real employee, and he sent me an email as well. I learned that Rand, who’s based in Arkansas has been with Wal-Mart for seven years, and first started out as a purchaser for Ice, (not that exciting huh?) then moved into buying snacks and then moved into the sustainability role. Currently as the Senior Director of Strategy and Sustainability, Rand insists he doesn’t know all the answers to how a company can buy green products but wants the community to help him move forward. I asked Rand what are some of his concerns (I reminded him in detail of previous failures) and his responded “I’m new to it”. I gave Rand some advice on how to listen, using that feedreader (attention Edelman, please train clients how to listen), and suggested they use media like video and images, as those are very human mediums, and the trust of Wal-Mart blogging programs has been tainted. Comments will be moderated by lightly moderated by Edelman staff, but just to weed out the nasties. Rand tells me his blog posts will not be filtered or reviewed, he can publish at will (a best practice), and he hopes to post twice a week. Although their responses are public on Twitter, I chose not to publish their names, they can choose to self identify in the comments. Wal-Mart has had a series of failed or half-willed attempts at Social Media, their credibility has been tarnished, I’m honestly wishing them the best in this latest venture. I and many others will be watching and from the sidelines, at some point, I hope to start rooting for them too, I really do. Update: On a related note, the Blog Council (A user group for corporations that blog) just launched yesterday, it would be interesting to see Wal-Mart align with some peers, to learn and share best practices. Does the internet make the planet a better place? How much damage am I causing? Should we be paying more attention to the damage that server farms, mechanized waste, and pollution that is cause from the internet? There’s a lot of hype around the technology industry getting green, in fact I even put together a list of resources that can make your website green. Former colleague, Angela Miller was an IT Strategist (yup, a Web Strategist) at Hitachi, she was on the technical side delivering against my business requirements for our websites. We acted like a team, and sometimes not, as you know how politics can impact programs. Either way, I’m glad to see her sharing about her passions for ecology and the environment. Angela’s no fair-weather, jane come lately, Green Tech bandwagoner, she’s expressed to me several times this was her passion long before it became ‘hot’ for marketers to attach their brand to it. So check out her blog, as she explores if IT can really be green, or Green Computing hits the big time: Google’s Climate Savers Initiative, or just learning the basics of Green Tech. What’s next? I hope she starts an audio podcast to help educate us on how we can both deliver solutions using technology, and thinking long term. Welcome Angela to the blogosphere. Techcrunch is comparing which company is greener, Yahoo or Google. I’ve started a list of ways to make your website green: Web Hosting, Servers, Green Energy, Networking, Power Usage, Computer and Server recycling, and of course, making your webpages print friendly. If you’ve any suggestions, please go to that post and leave a comment. I was thinking about starting a new business, where I could ‘rate’ and analyze websites that were following these methods, they could register with me, pay me $25 bucks, and I’ll give them an image badge to put on their site. All proceeds will go to a non-profit that supports green web. Any business partners want to work with me on this? I’ll do the marketing. I also started a new tag called “Sustainable”, which reflects on the long term effects of technology on life. And this website is hosted with Dreamhost, which has gone green. That’s a movement we’re all starting to hear about more and more. Corporations, Individuals, and customers are starting to pay attention to the demand that thinking long term is important to the world, and to business. At some point, if you work at a technology company, or any other industry, some individual or group within your organization is going to push the green movement, a mandate will come from upper management and every group will have to figure out a way to be ‘green’. I think I’m ahead of the trend here, and want to provide the definitive resource for the Web Strategist (those that are responsible for the long term direction of a website) with some resources on creating a green website. Remember how “Web Accessibility” became important? I’m sure at one point, some green group will create a “green certificate” showing that your website is eco-friendly, and you’ll place that badge on your website for a few thousand dollars. Some users will boycott websites that are not green compliant. I’m inspired by my colleague Ryan (Great videos if you’re interested in sustainability) who focuses on green, I’m a web guy through and through, so here’s some resources. 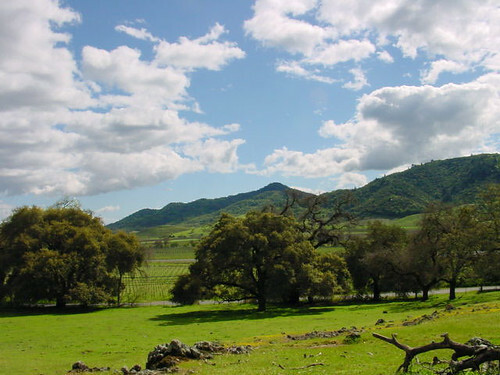 Update: Techcrunch has a very interesting story comparing Yahoo and Google, who’s more green. There are web hosts that are powered by solar panel, wind, or some type of combination of traditional and natural power. I’m not going to list out every web host who is green (there will be thousands soon) but I’ll point to definitive indexes that list them out. Your computers, servers, and data centers will need to consider green power. I’ve noticed an increase in hardware manufactures starting to build marketing campaigns and initiatives around sustainability and going green. Computers only have a limited shelf life, so what happens to those out of date pieces of hardware after your sys admin throws them in the dumpster? I recently recycled some old PCs and learned that computers will head to 3rd world countries and really damage the environment and people. Print Friendly Website: I’ve experienced so many print un-friendly websites that end up using 3-4 pages of paper for one screen. Leave a comment below if you’ve other resources to make a website Green, Sustainable, or Eco-Friendly. By the way, this website is hosted by DreamHost, which has recently gone green. I’m not a tree hugger or earth hippie by any means, but I do want our tech industry to remain a thriving long term helpful addition to this planet for a long time to come. 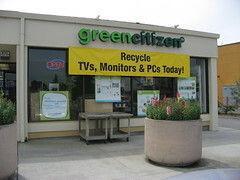 Yesterday, I dropped off 3 of my old tower PCs (some even had windows 97 on them) to Green Citizen in Palo Alto (there’s other locations too). The recycling fee was 10 bucks each, which I’ll write off my taxes. Also, they won’t be reusing the computer, and the data will be properly disposed of as they crush it at a facility and then the parts are resold to be recycled into other manufactures. Click on some of the pictures below, to read about how some PCs get sent to other countries causing massive damage to environment as they are ‘melted’ down to get semi-precious metals. I also cleared out some room in the garage, it’s a win win win.